The Late Bloomer is harrowing, grim, and poignant in the way of Cormac McCarthy’s The Road. Told in Kevin March’s singular and unforgettable voice, delivering a gripping narrative with an unsparing climax as moving as it is terrifying, The Late Bloomer defies expectations of the genre and will haunt those who listen to it. Faced with a bunker full of bones and a blocked exit, Joanna must claw her way to the surface, figure out what happened to her team, and try not to panic - or die. That’s going to be tricky if she’s the only person left in the world. 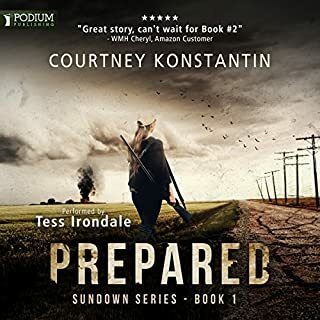 From the author of The Seabound Chronicles, Steel and Fire, and Empire of Talents comes a story of resilience and optimism at the end of the world. 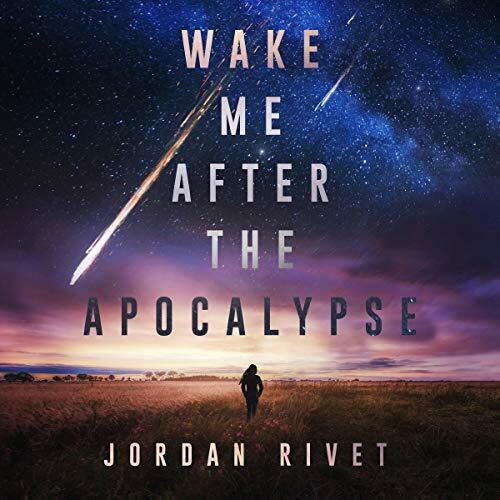 Wake Me After the Apocalypse is one of those books that makes me mad when real life interrupts my book! I did not want to out this one down! This is my second series by Jordan Rivet. I listened to her Seabound Chronicles first and highly recommend it. 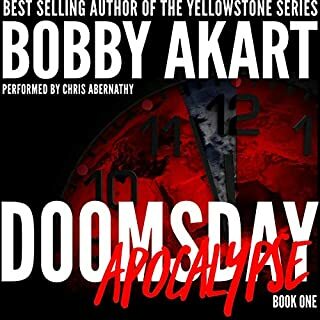 This is an entirely different apocalypse scenario, and just as good! In this series, humanity is threatened by a huge comet, much larger then the one that wiped out the dinosaurs. Joanna Murphy is one of the lucky ones picked to try to survive in a 200 year cryosleep in an underground bunker. I can't wait to see how this series plays out! Great narration by Kate Marcin! I lived all of her character voices! Enjoyed the story and the narration. I would have enjoyed a bit more details on how the team prepared, but that did not detract from the story. The lack of swearing and violence was a nice change from the majority of apocalypse stories and I wouldn’t hesitate to suggest it to my preteen son. I liked it a lot. Great story, interesting and not too soapy. I’d been looking for a good female main character in an apocalyptic book that wasn’t dumb. This book gives me hope! I thought the story concept was interesting, but the writing style was a bit juvenile to me. The characters behaved in ways I didn’t think were realistic. Many of the situations didn’t track well in my mind. 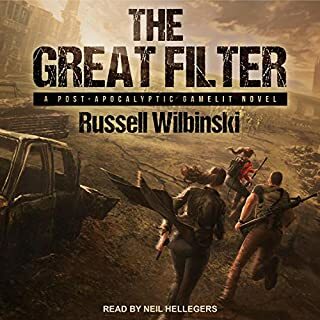 Although this book doesn't have any zombies or crazed psychos like most post-apocalyptic books, it was really interesting and to be honest, it was really hard for me to put it down to work on school work. I don't want to spoil it, but the book was a nice breath of fresh air after reading so many zombie or heavy duty apocalyptic books. I love how the main character is optimistic, idealistic, hard working, and resilient. I will agree that maybe at the beginning, the story focused alittle too much on the team, but I enjoyed learning more about all the characters. I'm looking forward to the next book (if there is one?!!?!?! i really hope so....)! I really enjoyed the book especially when it picked up. I wish this was a sequel bc I wanted to know more about where these characters end up in 20 more years! Maybe the author will turn this into a series bc she definitely left the ending at a place we’re she can do that! Worth a read! Such a wonderful performance and story. Definitely worth a credit and you will NOT regret it! I found this book to be very enjoyable. It is smart, witty and has just enough edge to keep you on your seat wondering what will come next. The characters are likeable and I must say are very diverse and represent many different groups of people. That might be my number one take away from this book. I am blind myself as is one of the characters and I must say it was very well written and well performed. There are some twists and turns that will leave you guessing in this one but I enjoyed them all. The landscapes are well developed and leave just enough mystery to evoke your imagination. The performance was very well done and makes use of several different voices, accents and tones throughout the entire story. It is very easy to tell who is speaking as there are several different characters each with their own unique voice. The performer also does great male voices as she is female. 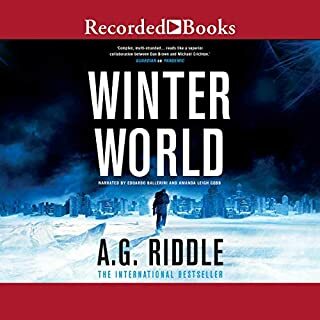 I like the closure that the listener receives at the end of this book however, does leave room for optimism for a second book in the series with some unanswered questions. 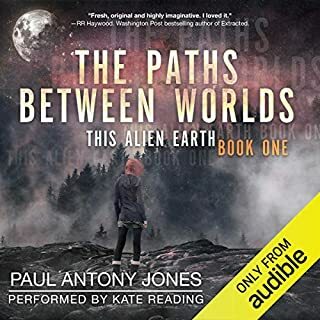 I received a free copy of this audiobook from the author in exchange for an honest review. This in no way affected my opinion of this work. It’s a love story drama that just happens to take place during the apocalypse. It focuses more on the social drama then the act of survival. It’s a decent listen, just not my cup of tea. Maybe this series smartens up later, but this book was difficult to finish. The characters are pie in the sky, anti-gun idealists set in a Wayward Pines sort of idea. Honestly the Wayward Pines idea was why I bought this book. But this story wasted the opportunity and explored a cardboard love story. It was a bad setup. Too bad, too, because it could have been fun and I won’t buy the next book. I feel like I just read a missed opportunity. The author can write, but took 8 hours and essentially whiffed with teenage girl emotional drama.